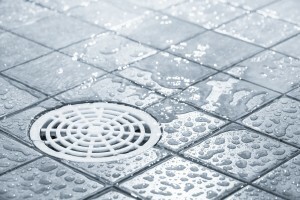 If you’re tired of dealing with soap scum, limescale, or other types of unwanted buildup on sinks, drains, or water using appliances, soft water conditioners may be the answer. These systems are designed to provide immediate relief from the many problems that hard water causes, especially buildup that can damage the aesthetics of your bathroom or the function of your plumbing and water-using appliances. Hard water is caused by elevated levels of calcium, magnesium, and other bicarbonate ions in your water supply. Over time, these minerals tend to accumulate and form chalky buildup that is not only unsightly, but can actually form inside and on your plumbing, causing serious blockages that may require repairs or expensive total replacement. This level of calcium buildup can also make it incredibly difficult to clean you showers and sinks, and can gather on the inside of any water-using appliances such as dishwashers and washing machines, limiting their effectiveness and working lifespans. Soft water conditioners provide a superior, fast acting solution to this problem by eliminating the cause of the buildup. Since these systems act to exchange the calcium and magnesium ions that cause hard water with harmless and less reactive sodium or potassium ions, they soften water at a chemical level, preventing the buildup from ever forming. Over time, this softer water will even help to wash away any buildup that has already formed, helping your home and appliances to stay cleaner and more functional. Plus, soft water conditioners will also produce several other pleasant side effects, such as water that lathers and cleans more effectively, and clothes and hair that feel softer and more pleasant after washing. The premium whole house soft water conditioners that we offer at RainSoft will ensure that your home’s water supply is softer and problem-free from now on. We can make this claim because in addition to our products being made with only the latest state-of-the-art technology, they are all backed by our industry-leading Limited Lifetime Warranty. For more information about these advanced home solutions, contact your nearest authorized RainSoft dealer today.